These days, it seems like the only people who understand technology are those born with an iPad in their hands. For the rest of us, the rapidly advancing tech can be a challenge to get a handle on. This is why ScanMyPhoto’s customer and proud grandfather Peter Farnsworth has made it his personal mission to use technology to connect with younger generations—specifically, the grandkids. As Peter started his 1-1 project, he realized others could benefit from the cool technology he uncovered during his research. 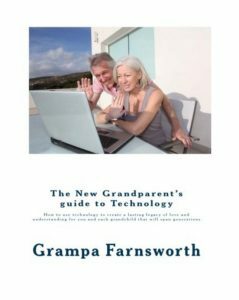 The result is his novel: The New Grandparent’s Guide to Technology. Arguably, one of the most important pieces of technology he researched for his book was a reliable photo-scanning service. All of the stories and blog posts to be shared with the younger generations were often inspired by real-life photos, so it was important to find a service that could turn those analog prints into digital files. “I looked and looked [for photo scanning services] and weeded out the fakes, the over-promisers, and the outright scams,” Peter explained. When he narrowed down his choice to ScanMyPhotos, he sent one box to test things out. When the first batch of photos turned out flawlessly, Peter placed several more orders. In addition to all the photos he scanned while researching his book, he recently sent in another box for an upcoming family reunion. Of the photos he’s scanned in, there are several that he’s been sharing with the family so far. While helping Peter connect with the past, the photos he’s scanned have also helped him connect with future. 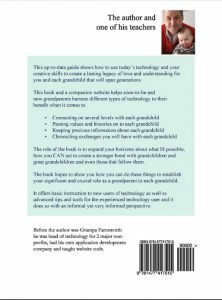 If you’re looking to deepen the connection with your grandkids using technology, then we highly recommend ordering a copy of Peter’s book from Amazon today. This entry was posted in Customer Stories and tagged customer feedback, customer review, customer stories, customer story, customers love scanmyphotos, digital photos by Monika Jansen. Bookmark the permalink.